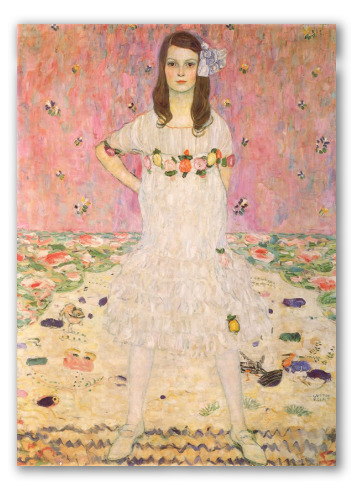 "Mada Primavesi" by Klimt, Girl Portrait Painting. 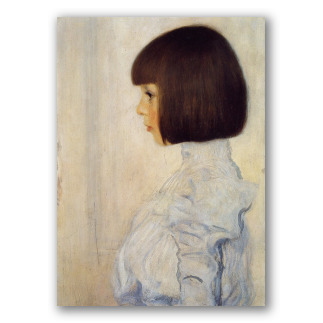 This portrait of Mada Primavesi, a friend of Klimt, was painted in 1913. The stunning beauty of the woman's face displayed in the picture is one of the artist’s few attempts to portray purity and childlike innocence. 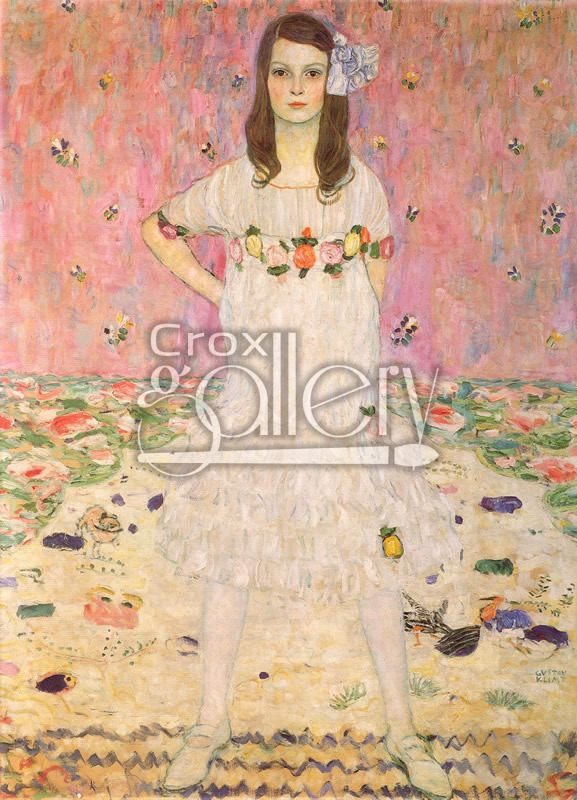 The result is this masterpiece which shows the affection that Gustav Klimt had towards the Primavesi family.